Summertime in Alaska is short and sweet and boasts many qualities that residents take full advantage of during the months of May through August. Besides the extended daylight hours, one of these is the fruitful growing and fishing season that offers an annual crop of fresh produce and fish. When you’re in Alaska for the summer, some of the best advice to enhance your experience is to eat fresh and local whenever possible. Here are a few of our favorite recipes that showcase the best of Alaska summer ingredients. Bon appétit! Nothing says summer like barbecue, and if you’re lucky you’ve got the chance to grill up some fresh fish or wild game meat. Even if you’re not eating moose burgers, there’s always a way to work an Alaska ingredient into the mix. We love this recipe for rhubarb barbecue sauce, a sweet, savory and tangy accompaniment to whatever you’re grilling. While we’ll never say no to rhubarb in crisp or pie form, rhubarbecue certainly has a nice ring to it. A short stroll around Alaska neighborhoods in the beginning of summer can turn into a foraging expedition for spruce tips. The soft, bright, grassy green tips are a great ingredient to incorporate into desserts, cocktails and more. The flavor is slightly herby, but mild and never overbearing. A few must-try uses are chopping them up and using them in shortbread cookies, pickled and used as a relish or even as the base of a homemade tartar sauce to dip your freshly-caught halibut in. Rarely is an Alaska summer meal complete without the eternal star of the show – salmon. Poke bowls are all the rage right now, so why not kick one up a notch with homemade salmon poke? This recipe, using two pounds of sockeye salmon, can be eaten in bowl form dressed up with rice and garnish, on a cracker as a snack or straight from the bowl, no frills needed. 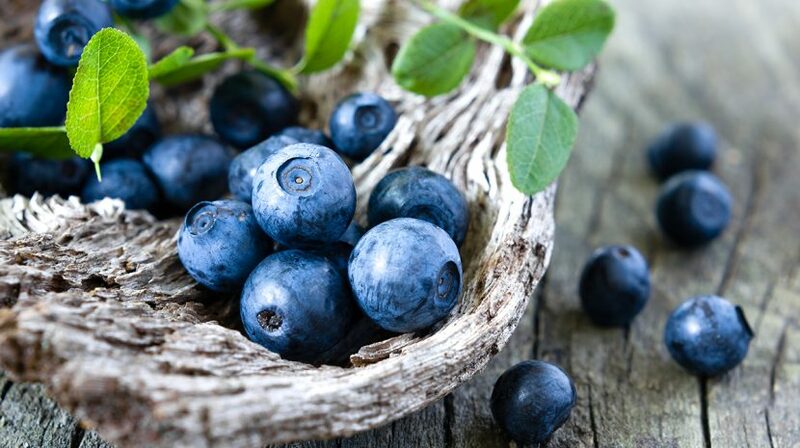 And last but not least, you can’t let a summer in Alaska go by without a haul of fresh-picked blueberries. We definitely don’t have any trouble eating them plain, but there are so many fun ways to use blueberries it would be a shame not to try a new recipe or two each year. This blueberry season, we’re looking forward to turning our bounty into this cornmeal skillet cake, topped off with a scoop of ice cream for the perfect end-of-summer dessert.